There is no denying that the OnePlus 3T is still a very good high-end smartphone. But, since it will soon be replaced by the OnePlus 5, which rocks some amazing hardware and, hopefully, just as an attractive price tag as before, the current flagship killer will not be available for much longer. In fact, OnePlus has announced that there is limited stock left, so, if you are considering buying a OnePlus 3T, now is your last chance to get one. 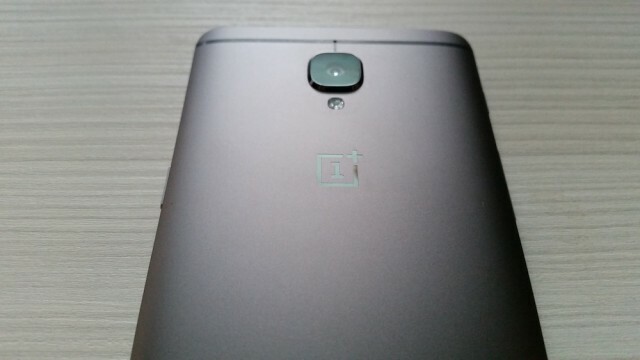 On its forums, OnePlus says that there are just "a few devices are left in [its] warehouse." At the time of writing this article, you can still get the OnePlus 3T, in Gunmetal, from the official store in US, UK, France, Germany, and other markets. Shipping time varies, but it will be sent within four to five days from the company's warehouse. Storage options differ too, with some markets now only getting the 64GB version while in others you can also buy the 128GB version. If you can get the 128GB OnePlus 3T, do it because there is only a marginal price increase for twice the storage. Same goes for the color options. Some markets are restricted to Gunmetal, while in others you can get the OnePlus 3T in Soft Gold as well. However, the 128GB version can only be purchased in Gunmetal, so keep that in mind -- unless, that is, you can still find a Midnight Black limited edition. In UK, for instance, that is listed as "out of stock" and there's a very small chance that it will be restocked again. Since the OnePlus 3T will be discontinued soon, OnePlus wants to reassure customers that software support will continue to be provided. There will be "more software updates and support" for both the OnePlus 3T and the OnePlus 3, which are now on the same development branch -- their hardware is nearly identical, save for a few upgrades.